I’ve talked before about how hard it can be for middle grade authors to go indie … but I cheer on like crazy the ones that take that leap. 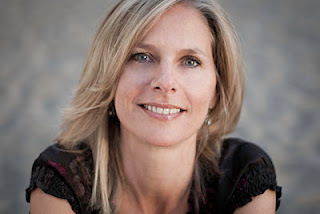 The lovely and talented Elle Strauss – fellow Indelibles author of the YA novel Clockwise – has jumped with both feet and has graciously stopped by for an interview. 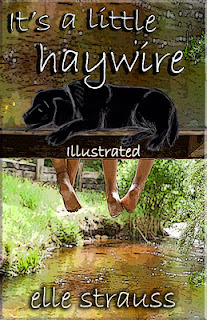 IT’S A LITTLE HAYWIRE is available for FREE TODAY (2/23) ONLY on Amazon (normally $2.99). do you love writing middle grade? discovery, the good and the bad. Elle: Yes, I do, at least for right now. teens reading e-books. Middle grade readers still read print books primarily. middle grade marketing have you found to be successful? question. 🙂 Ask me again a year from now. ebooks, and the middle grade market in general? true for print, but I see it becoming true as e-books as well. that Haywire is launched, what comes next for you in terms of writing? Apr/May. A companion novel will be available in June. Yay for more book releases (and I love the play on the name)! Thank you so much for stopping by, Elle! And best of luck with your middle grade story, as well as the Clockwise series! The book sounds fantastic! I like ghost trains. And I can totally pretend I'm 8. Great interview, Elle! So happy and encouraged by your passion and confidence. Thanks for hosting her, Susan! Thanks for having me, Susan! Such a great blog! Love your interview here. Elle, you are brave to venture into the indie MG market, But I know you go into it with a passion for your story (it's so obvious that you're smiling whenever you share your thoughts about It's a Little Haywire) and experience gained from your previous indie launch. i wish you the best of luck with this darling story. Thanks for sharing the interview, Susan. Wonderful story, Susan. Great to see more Middle Grade books. Thanks for the interview, Elle and Susan! I just bought It's A Little Haywire and already started reading the first chapter. I love it so far. As a fellow MG writer, this interview was a very valuable read. It's a Little Haywire sounds like a great book. Thanks for the interview. He's 11 and 11/12ths? I like him already. 🙂 Wonderful interview, ladies! I love it when MG characters take on the bigness of life. Yay for Elle! The book sounds fantastic, and I'm pleased to see she's taking the bull by the horns when it comes to getting her work out there.